This purse with heavy embroidery leaves no stone unturned to give the very ethnic look one demands for while going for a traditional ceremony. 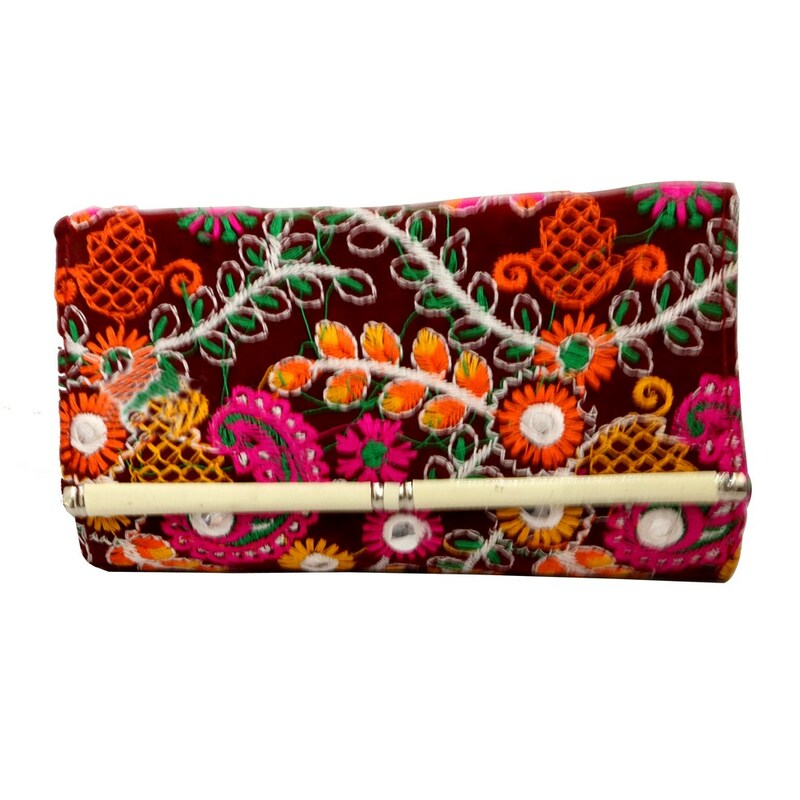 This Read More..flip open purse ideally has a black backdrop on which various colours blend with each other to form the brilliant embroidery designs. Show Less..